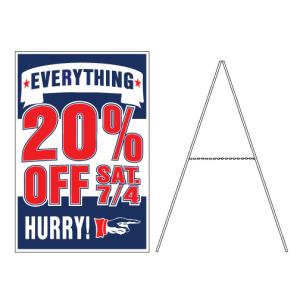 A-Frame signs allow for your message to be seen in a variety of different areas. 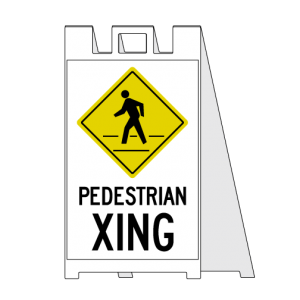 Highly portable and customizable, these lightweight signs can be placed on sidewalks during business hours and brought in for safe-keeping during off hours. 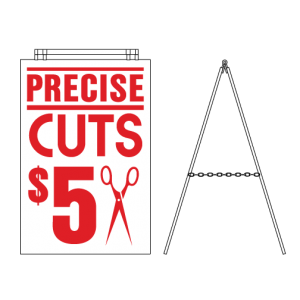 Hightech Signs offers stock A-Frame signs made from a strong durable plastic that will provide years of advertising service. We also have the ability to create custom A-Frame signs to suit your particular sign needs. 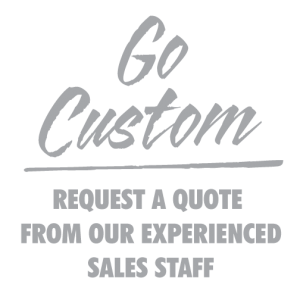 Contact one of our sign professionals to see which option best fits your needs.